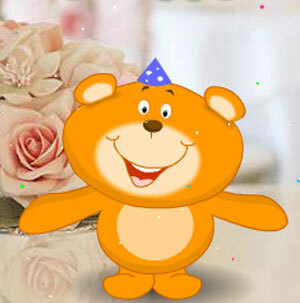 Wishes help you in creating a flurry of wonderful emotions in your loved ones hearts. Here's a collection of most popular heartfelt birthday wishes to use it in your birthday cards for wishing them in a spectacular way. Are you looking for some great birthday recipes or birthday cake designs for your birthday? 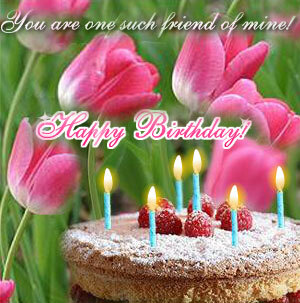 Here are some birthday recipes, birthday cakes, chocolate cake and cupcake recipes. These recipes are simple to make and so mouthwatering! You will have a fun time making it for the special one. Birthdays are happy reminders of your life that you are growing and it’s the day we love to pamper ourselves the most. Make your loved ones feel special because of the joy they bring to your life. We give you 10 reasons why sending an ecard could be the best birthday wish ever! Looking for birthday wallpapers or birthday images? We offer many attractive birthday wallpapers, birthday images, birthday pictures and birthday backgrounds for your computer desktop or mobile devices. Download these beautiful wallpapers to make your these displays look even more attractive. Are you looking for a year-olds in the parade, bean bag game, mom wrap game or a relay games sponge for this birthday? Check out are fun birthday games for a kid party. Involve your mom in the party games too. You and your mom will have a fun time playing these games on the special day. The Best Birthday Themes Ever! 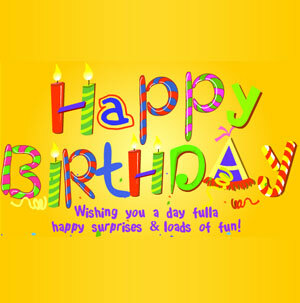 Birthday themes help you in organizing a fun filled party. If you're looking for a fun party theme ideas, here are the best birthday themes that you will enjoy and want to use for your birthday party. You don't need a reason to celebrate your birthday! Do you??? Ok... There could be thousands of reasons of celebrating your birthday but the ten unforgiving reasons why you should definitely celebrate it. Every year we are scratching our heads days in advance before our birthday. We try to make it different every year for our guests to add to our motley of memories by celebrating in the most unique way possible. Find some wacky yet trendy and enjoyable DIY ideas compiled to make your birthday ever so memorable!